﻿ Best Price on Hotel & Hostal Yaxkin Copan in Copan Ruinas + Reviews! 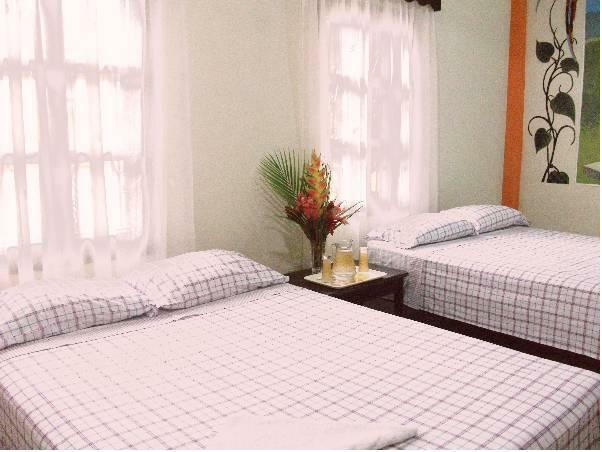 Hotel & Hostal Yaxkin Copan is located 1312 feet from Copan central park and 10 minutes’ walk from the Archaeological Museum. It features a garden, a furnished terrace and a free Wi-Fi throughout. The rooms offer basic décor, a fan, cable TV and garden views. The bathrooms are private and include free toiletries. For extra convenience, the helpful staff at Hotel & Hostal Yaxkin Copan can assist guests with booking bus tickets to visit Guatemala City, Antigua Guatemala and San Salvador. The on-site restaurant serves international cuisine and guests can find as well other options within 492 feet. Hotel & Hostal Yaxkin Copan is 984 feet from a bus station. Ramon Villeda International Airport is 2 hours and 30 minutes’ drive away. Please note that the property offers free shuttle from different bus stations and also from El Florido with an extra cost. Please contact the property with the details provided in your confirmation an least 24 hours before arrival to request this services. Guests are required to show a photo ID and credit card upon check-in. Please note that all Special Requests are subject to availability and additional charges may apply. Please inform Hotel & Hostal Yaxkin Copan of your expected arrival time in advance. You can use the Special Requests box when booking, or contact the property directly using the contact details in your confirmation. Payment before arrival by bank transfer is required. The property will contact you after you book to provide instructions.